The perfectly-named Rachel Joy started life out as a scientist but quickly decided to make wine instead. Because, well, wine! She cut her teeth making wine in Napa for 15 years as she planned the launch of her own label. Being the smart cookie that she is, she knew she wanted to make Syrah, and what better part of the country for that than Washington? 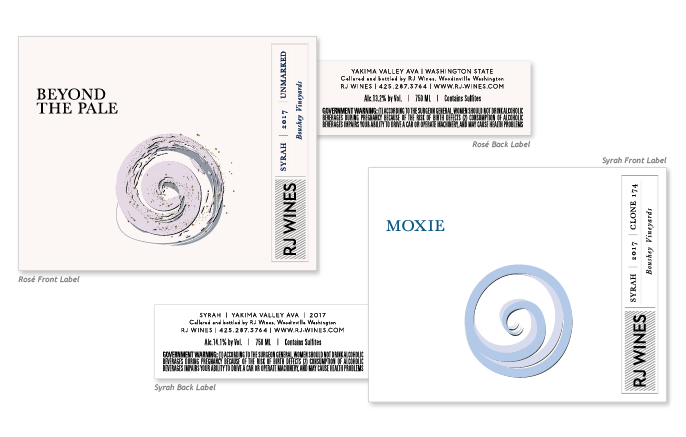 After doing her research on the best Syrah growers in the state, she corralled the most celebrated grape grower we’ve got, who sent her our way when she needed labels to grace the bottles of amazing wine she crafted. We couldn’t be more thrilled with the labels we designed for her, or with the juice that’s in them. The best brand promise ta winery can make is one where the label looks as good as the wine tastes, and we think we nailed it on this project. Cheers!